There are 35 reviews of Paestum Rose. Spicy, peppery rose straight away. The spices really pop. An almost creamy osmanthus. This is a lively rose fragrance. It borders on sweet really. It doesn't take long for the rose to begin dancing with the base notes. Myrrh, incense, and wood do not overwhelm the rose - they compliment her. Rose fades later leaving an almost dark incense-like base, with still a hint of spice. An earthy spice. Peppery rose with a light, woody base. The rose is fresh and green, perhaps somewhat dewy. It stays away from the soliflore territory due to the embellishments. Next to the rose, there is an accord in the top and the mid phases that recalls vinegar, even brine. 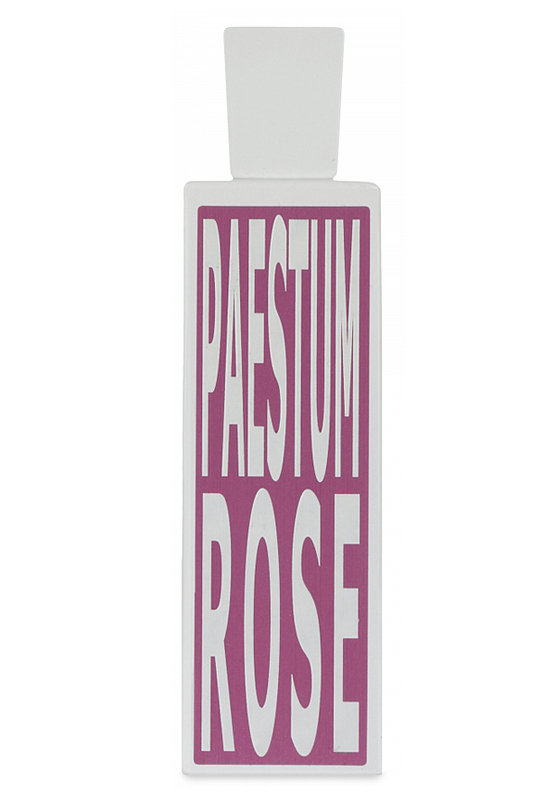 Paestum Rose is smart, chic and unisex with moderate sillage and duration. Overall it's somewhat lacking in both depth and character. While nice, I find it to be limited next to stuff like La Fille de Berlin or Rossy de Palma. It also reminds me of Voleur de Roses, but the L'Artisan is more pale and interesting. Paestum Rose is a peppery/spicy Turkish rose with a good amount of incense. Reminds me of many of the rose-incense dominant fragrances from Montale but not that strong and is easier to wear. That incense-rose is strong from start to finish but later into the drydown there are some woody elements that come out. I find this to be more "old lady" than masculine and it's a more floral rose than dirty rose that you would find in something like Rose 31, which also contributes to this leaning feminine to me. Performance is strong with excellent projection and longevity. Superbly blended rich deep rose oriental. The dark Turkish rose here is beautifully combined with cedar and myrrh. The effect is that of a cedar box containing a rose incense blend. The peppers and coriander do not dominate, but simply underline the experience. Similar to other dark rose fragrances, such as Perles de Lalique and Coriandre, but lightened and slighly sweetened by the myrrh content. Paestum actually deepens and darkens as it goes through its dry down. One of the most wearable masculine roses on the market. I don't think this would be a success if it were worn by a woman, as there is nothing hinting at femininity here. A real find. I am intrigued now to experience the other scents in this niche line. Paestum Rose is basically a green-rose soliflore, not particularly original, neither deep nor inspired in my opinion. The texture does not smell that different to Johnsons's rose water they sell at the supermarket – I smell quite a bit of rubbery and synthetic nuances which I don't really enjoy. Aside from that, there is quite a prominent central note of red pepper which kind of "concentrates" the fruity and denser side of rose, and a whole green-woody accord supporting the flowers. Quite light and also fairly short-lived overall. Fairly pleasant, but a bit shallow and not really worth the price in my opinion. There are no member images of Paestum Rose yet. Why not be the first?